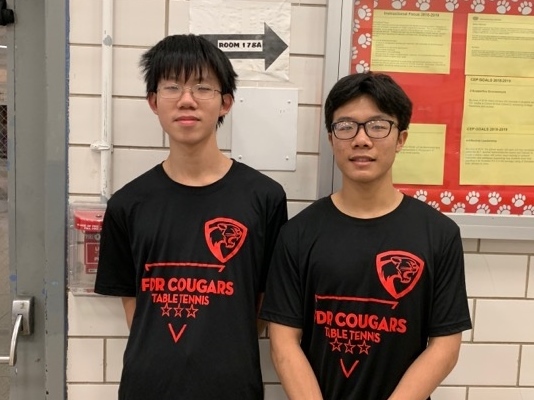 Congratulations to Andy Wen and Shangli Chen, FDR’s Male Athletes of the Month. 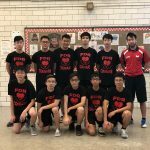 Coach Lam nominated these two players for their hard work and dedication to the Boys Table Tennis program. Andy and Shangli, both really enjoy attending FDR. They really like their teachers and making friends. 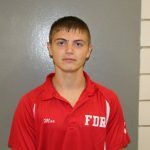 Andy feels his greatest strengths as an athlete are competitiveness, self-confidence, and his commitment to improving his game. His weaknesses are his rage during the game and handling distractions. 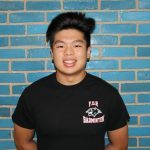 Shangli believes his greatest strengths are his stability, effectiveness, and his technical play. He would like to work on his ability to handle pressure during games. Both Andy and Shangli joined the team because they had an love for Table Tennis. They each have improved very quickly, according to Coach Lam. He has been very impressed with how seriously they take their roles on the team. 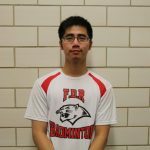 Coach Lam looks forward to Andy and Shangli leading the Cougars to the playoffs again this year. 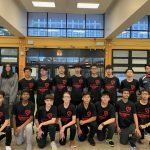 Congratulations to Andy and Shangli, they are truly the backbone of the Boys Table Tennis team. The future looks bright with Andy and Shangli leading the way! Boys Table Tennis- Ready To Make Their Mark!